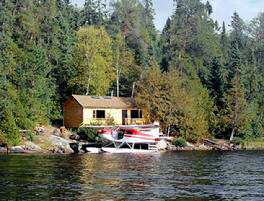 Enjoy the privacy of a remote outpost experience at Penassi located just 36 air miles northeast of Nestor Falls. 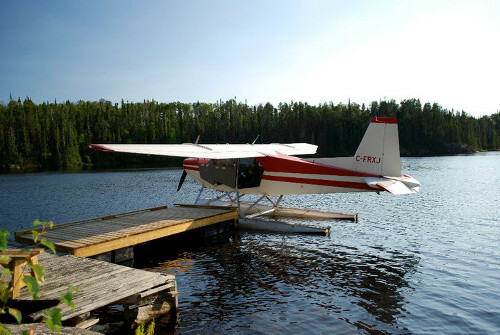 A short flight gets you deep into the wilderness and on the lake fast. 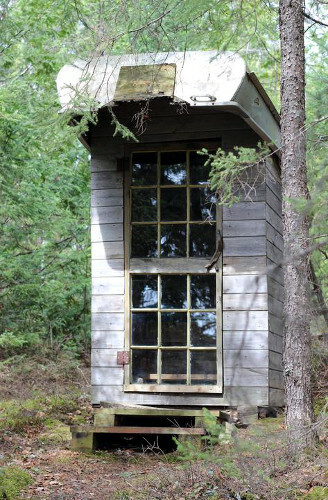 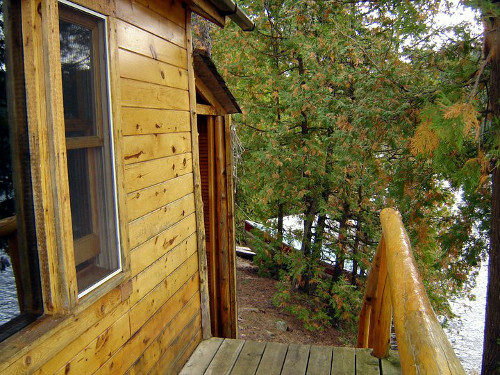 Tucked amongst tall pines and cedars on the edge of the shoreline, this two-room cabin is ideal for small groups and is the ultimate wilderness retreat for two people who’d like to have their own private paradise. 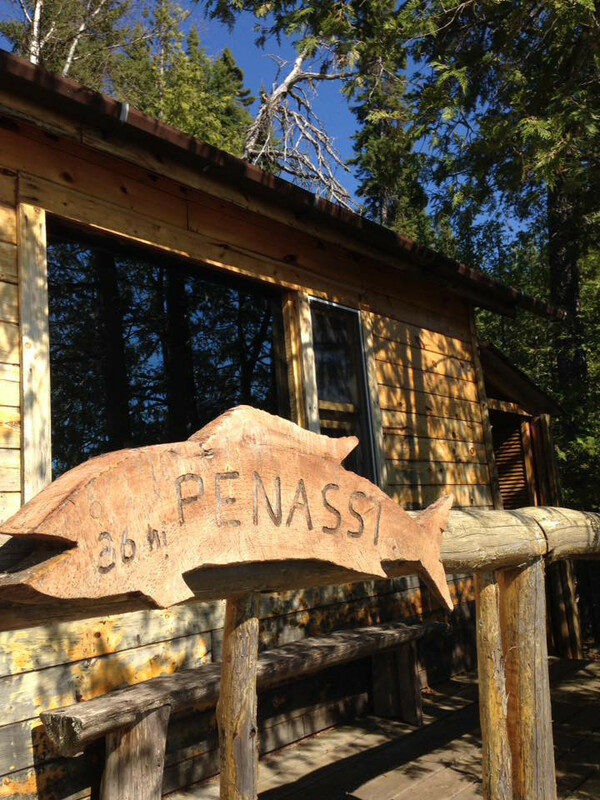 Penassi Lake is 3 miles long and features mostly rocky shorelines. 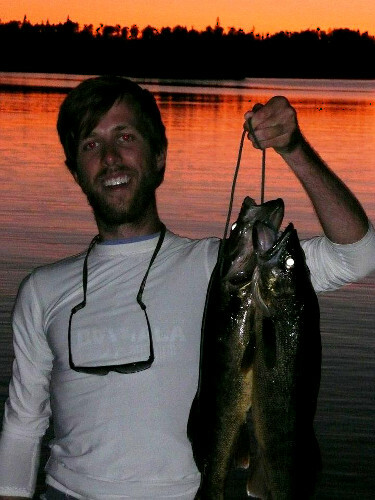 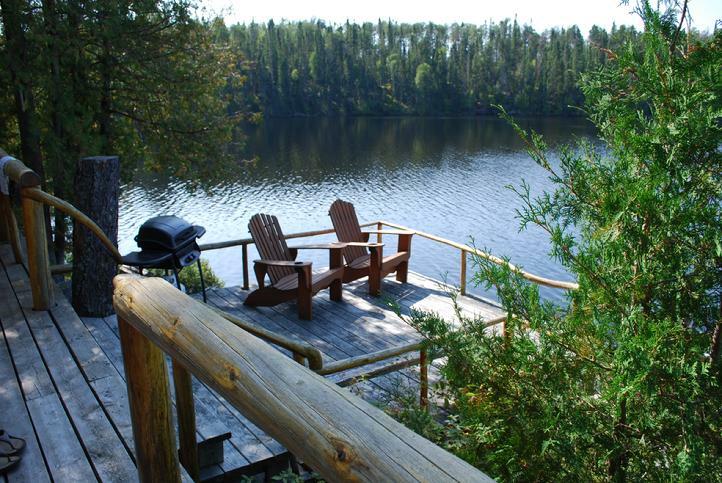 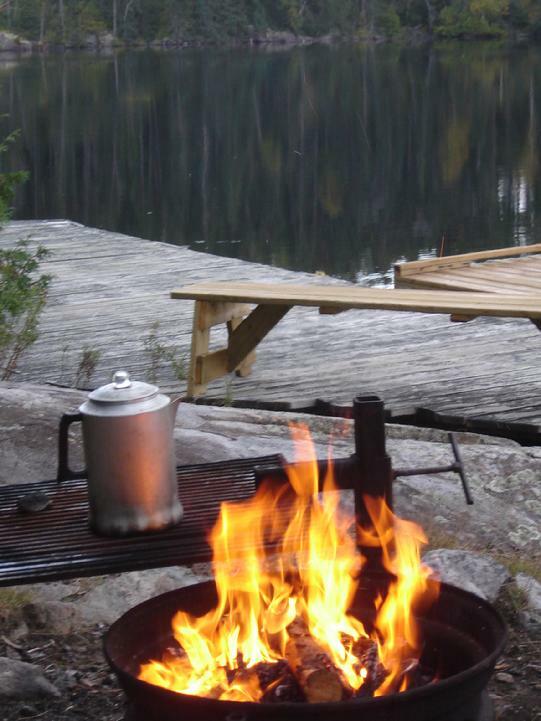 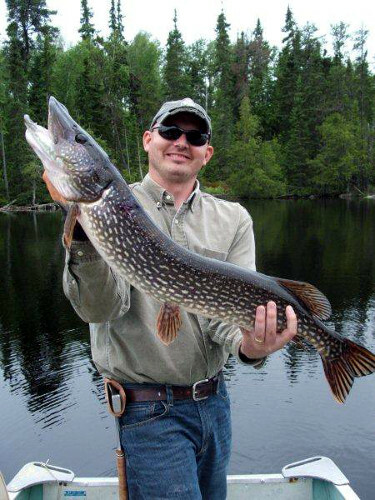 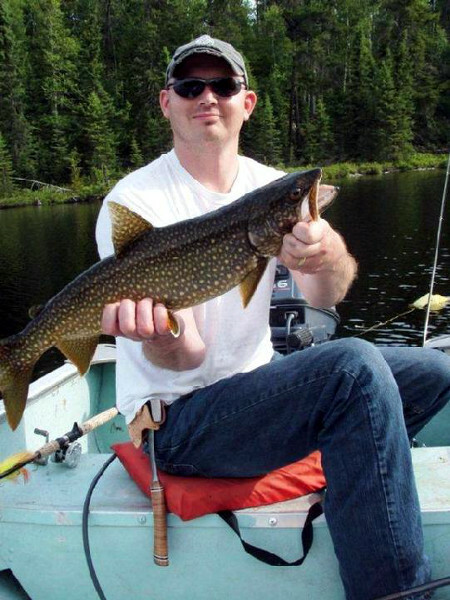 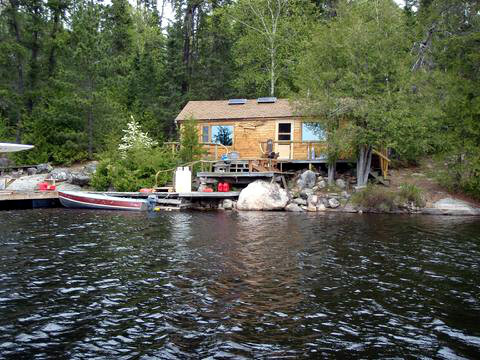 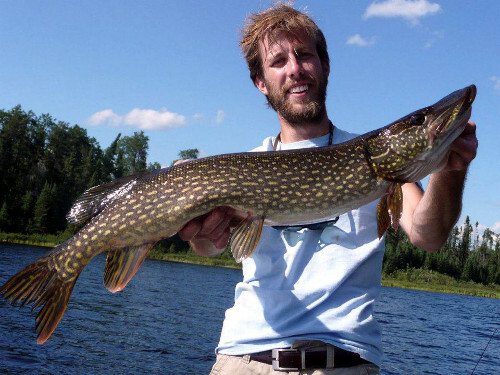 You’ll enjoy good lake trout and pike fishing in its deep, tea-coloured waters. 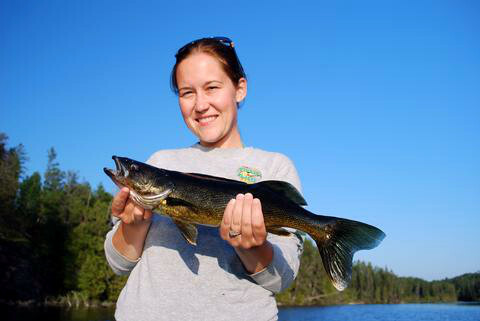 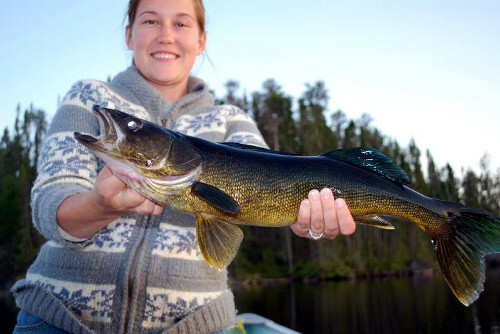 The northern and trout will keep you busy, but if it’s walleye fishing that you’re after, we suggest walking the 400′ portage into Picture Narrows Lake to walleye central – here even novice anglers easily catch their limit. 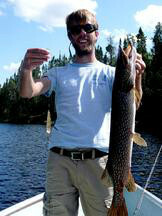 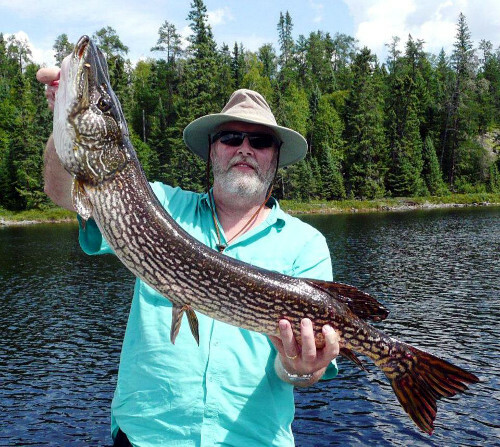 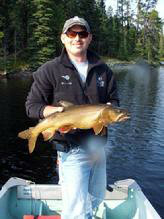 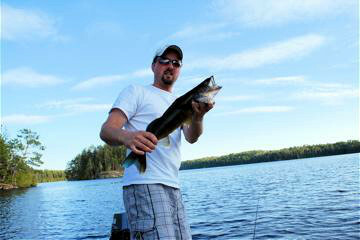 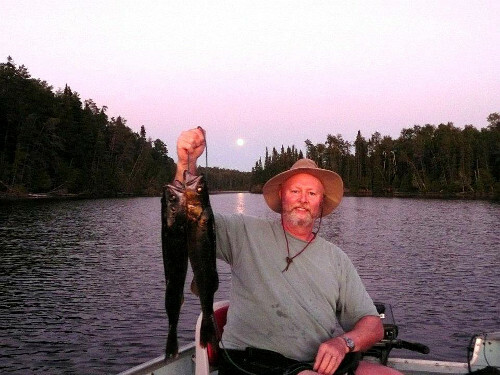 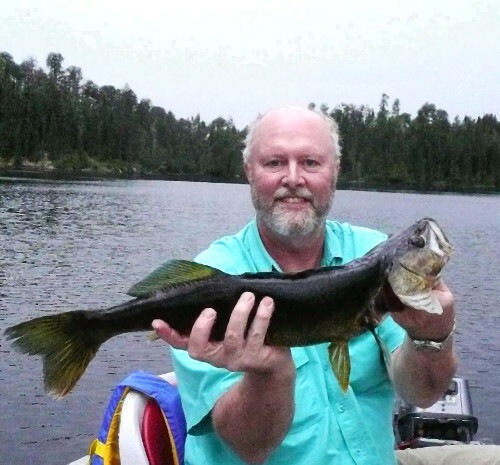 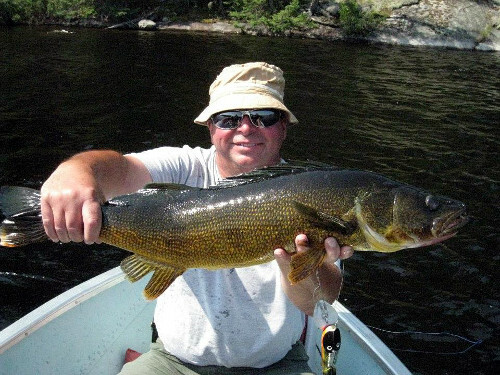 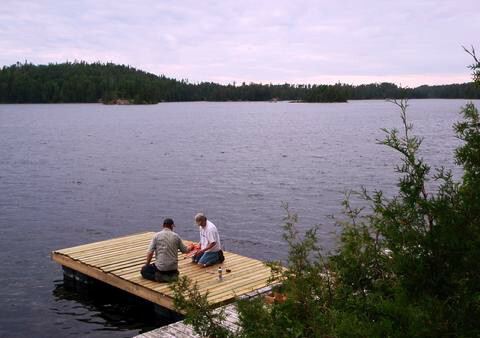 The lake produces many trophies every season with lots of smaller pickerel perfect for the frying pan. 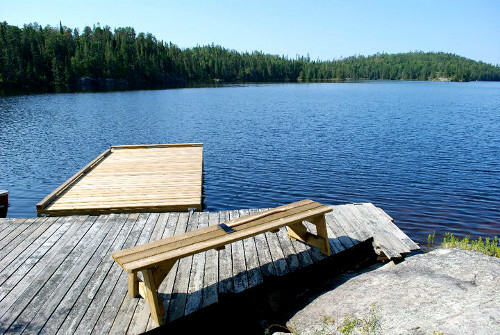 Both lakes are outfitted with 14′ and 16′ aluminum boats with swivel seats and new Yamaha motors. 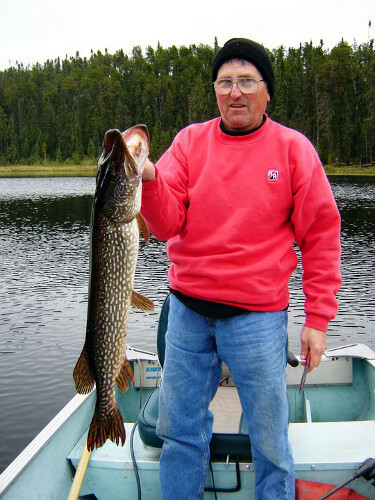 You’ll find life jackets, minnow buckets, landing nets, unlimited gas, and lake maps to make getting around easy. 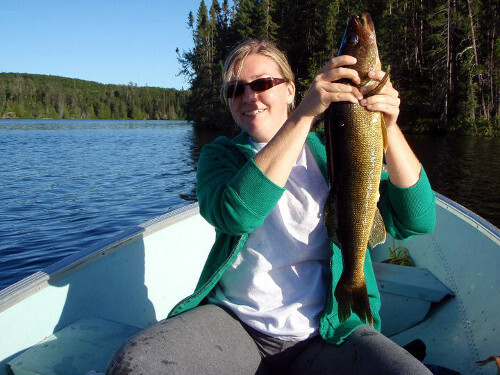 There’s also a canoe ideal for some quiet sight seeing and getting up close to the wildlife. 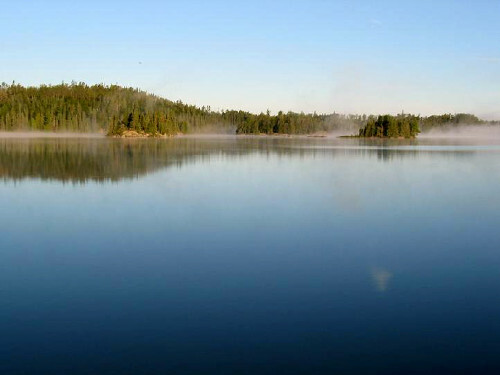 This past June, guests were excited to spy a cow moose with her calf. 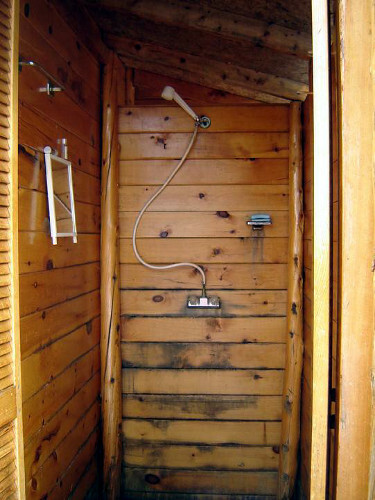 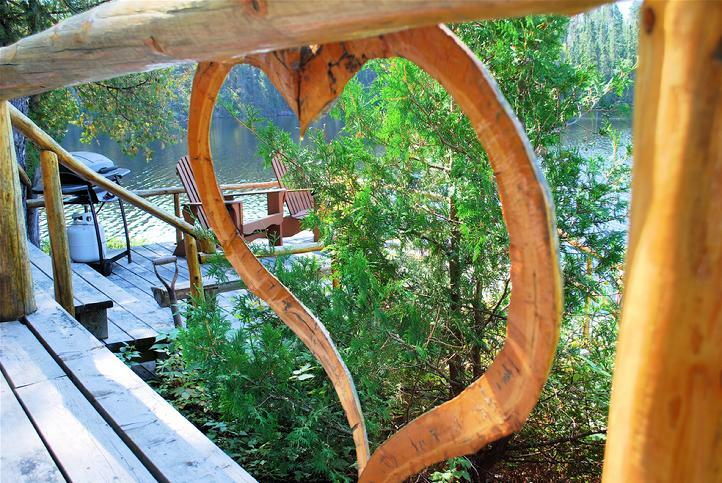 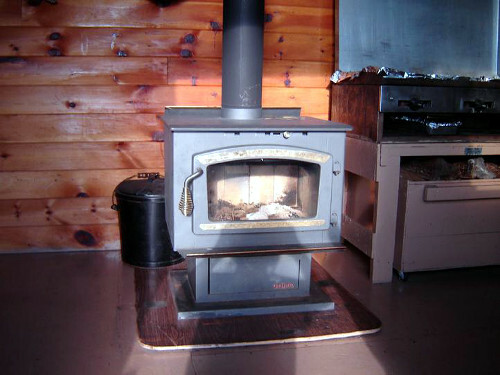 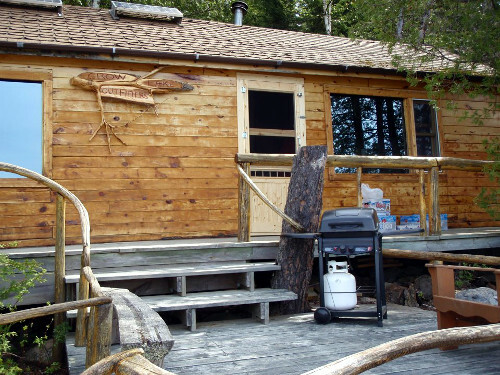 The cabin is equipped with everything that you’ll need to make the most of your stay including a fully stocked kitchen, fresh bed linens, solar lights, hot shower, propane stove and fridge, and bar-b-que. 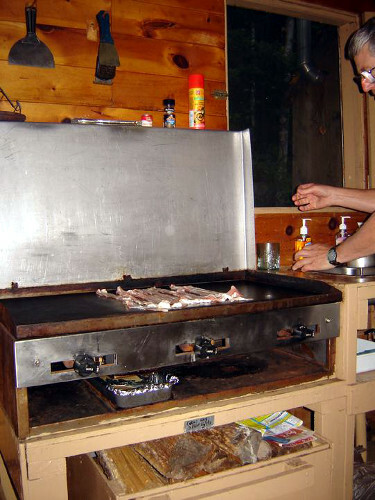 If you love to cook you’ll enjoy the large grill perfect for whipping up a big breakfast. 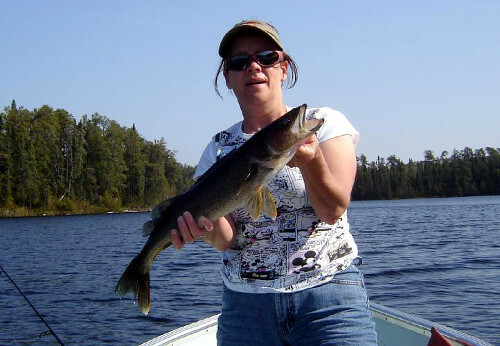 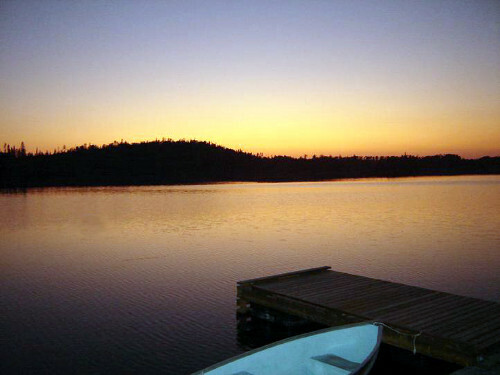 Walleye can be found on Picture Narrows Lake.